Last week my boyfriend and I jetted out on a car camping adventure from California’s Central Coast through Arizona, Utah and Nevada and back home. With the camper finally complete, we had a comfortable place to rest without having to hassle with setting up shop wherever the road took us (honestly, such a relief because the cushy mattress and ample storage underneath the wooden platform were perfect for two weary travelers!). Though we only had five days to explore, there was no rush because we did a fantastic job of planning out the points of interest that we wanted to see, and as it usually happens, stumbled across a few gems as well! During our trip, we hiked over a combined 40 miles of rugged southwest terrain carved by ancient rivers. Each turn held one magnificent few after another. Here are a few shots we took! On a side note: Spring is a lovely time of year for these parks, and the word is out; literally millions of visitors annually between these parks. We found that by hiking as the sun rose on trails less traveled helped us to avoid the crowds immensely which enhanced our experience ten fold. Best to be an early bird to avoid the desert heat as well, although the temperature never spiked past 80 while we were there in mid-May. This trip completely opened up my understanding about the desert. Turns out it’s not just a barren brown landscape; but a diverse and strikingly beautiful place teeming with surprises. 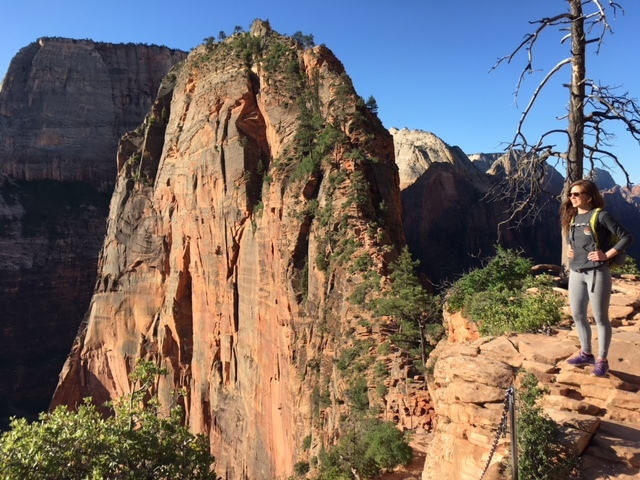 Whether it’s The Grand Canyon, Zion National Park or anything in between, I hope that these photos have inspired you to carve out a vacation out of your busy schedules; this one was a life changer. Happy trails to all Girls Who Hike! Avery is the Ambassador for our Central Coast chapter. 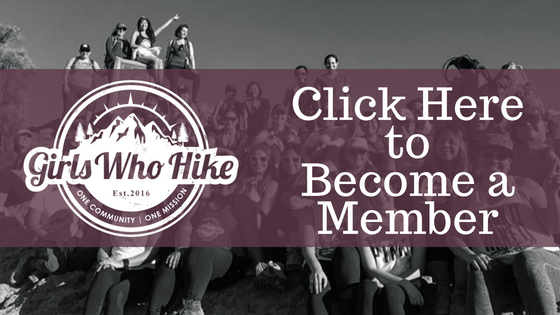 You can join her local meetups and discussions through the Central Coast chapter by clicking here.